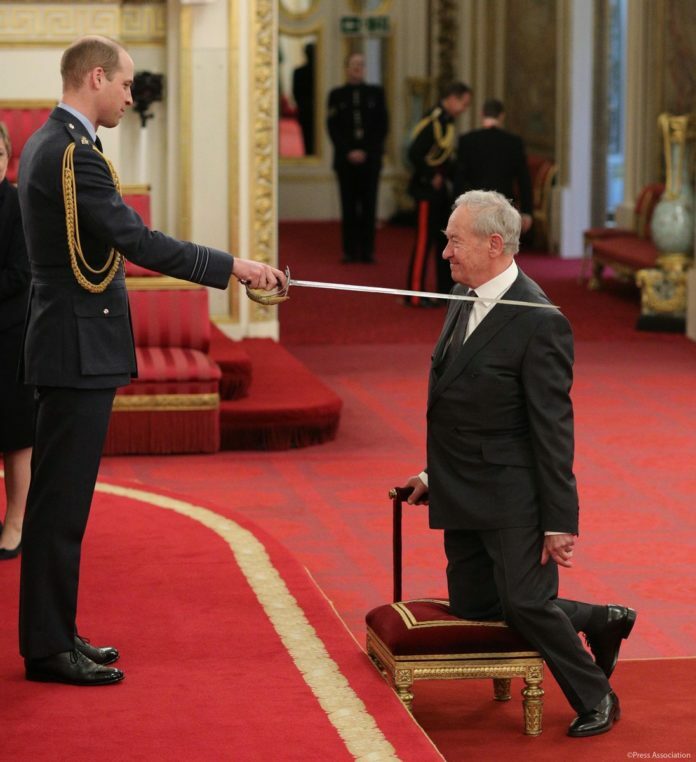 Jewish historian Simon Schama was awarded a knighthood at Buckingham Palace for his “services to history” on Wednesday. The presenter and academic, 73, thanked well-wishers on Twitter, after the Royal Family tweeted out a picture of him receiving the honour from Prince William. Best known for his popular BBC series “A History of Britain,” and his 18 history books on topics ranging from the Rothschild family to the artist Rembrandt, he was one of four to be honoured at the ceremony this week. Best known for his extensive knowledge of British and world Jewish history, having written and narrated a five-part television series on the history of the Jews, and published a two-volume history of the Jewish people, Schama gave the Balfour lecture in 2018 to mark the 70th anniversary of the state of Israel. During his lecture he called the Jewish state “a living, breathing, debating, thriving, rejoicing democracy,” adding that Israel’s six million Jews “are the ultimate retort to the number that Adolf Hitler exterminated. The life of Israel is Hitler’s failure”. This is not Schama’s first award from the Royal Family — in 2001, he was awarded the CBE award. Born in London to an Ashkenazi Jewish mother and a Sephardi Jewish father, he currently lives in New York, where he teaches history and art history at Columbia University. The investiture ceremony, presided over by the Duke of Cambridge also honoured Simon Wharton, a member of the Royal Navy; Matthew Coffey, the COO of an education watchdog; and Rosemary Johnson, the executive director of the Royal Philharmonic Society.